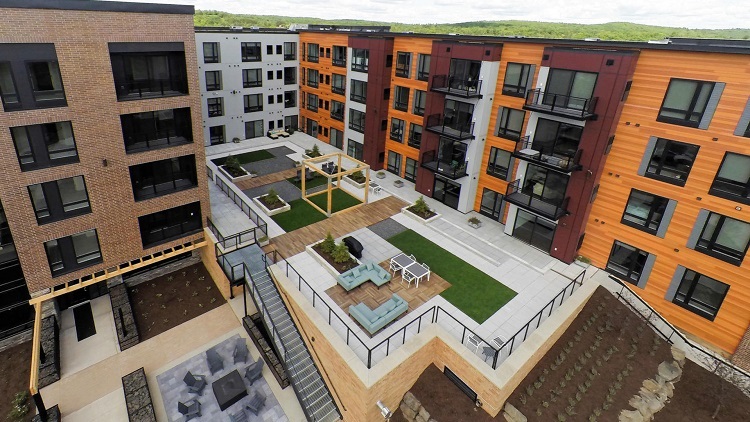 Bluestone Flats is a student housing facility at the University of Minnesota-Duluth that wanted to add more outdoor space to their Phase 2 building. 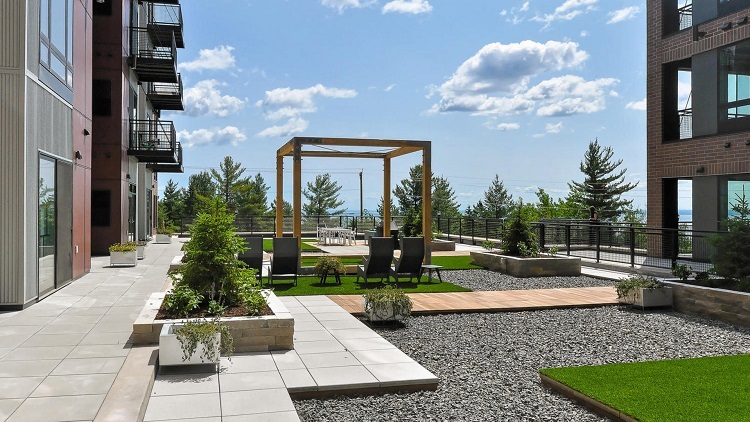 Structures started the project by installing six stone wall planting beds on top of building insulation pads prior to any concrete curbs being poured or pedestals being set. Two different colors of Wausau Tile pavers were used to designate private patio and public meeting areas. The Bison decking provides a modern architectural feel to the new outdoor space. The pedestal system allowed flexibility in the elevations of the patios and walkways while standing on the same concrete sub-slab elevation. The rock gardens were set at the end of the construction with the use of onsite rock blasted from the building’s excavation.